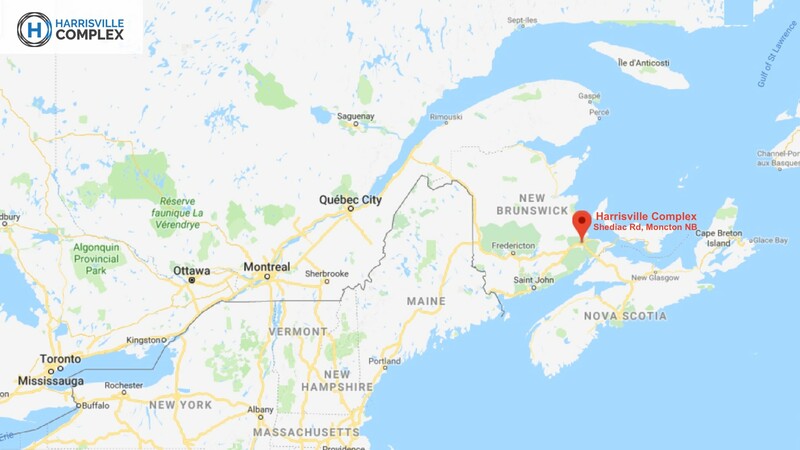 The Harrisville Complex is conveniently located at 1121 Shediac Road, approximately 100 meters from the Harrisville Boulevard / Shediac Road intersection. 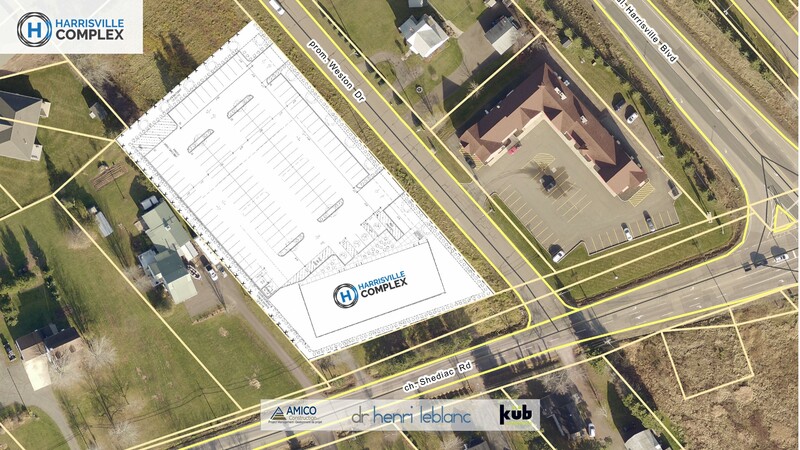 It is clearly visible from both directions on Shediac road and also while driving north on Harrisville Boulevard. Within 1 – 3 km of the Complex there are three schools, École Champlain, Lewisville Middle School and Arnold McCleod, plus the Caledonia and Dieppe Industrial Parks. 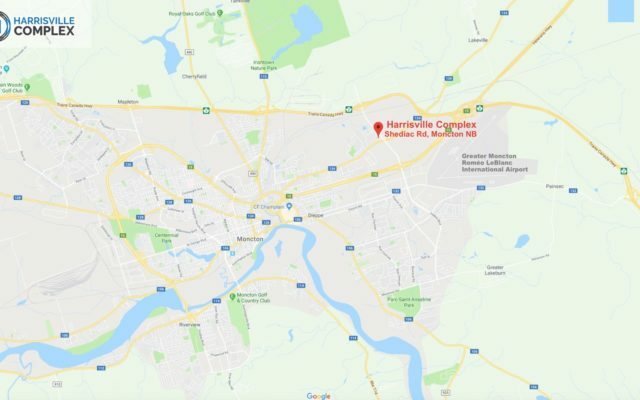 Caledonia Industrial Park has over 100 businesses on 960 acres, while the Dieppe Industrial Park has 200 businesses on 1100 acres. 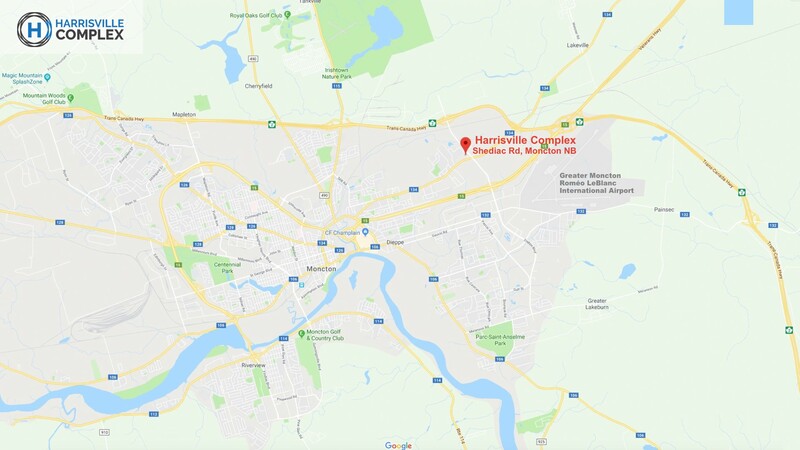 The Harrisville Complex is located in Ward 1 of Moncton NB, as is Downtown Moncton, Université de Moncton, Lewisville and Grove Hamlet. 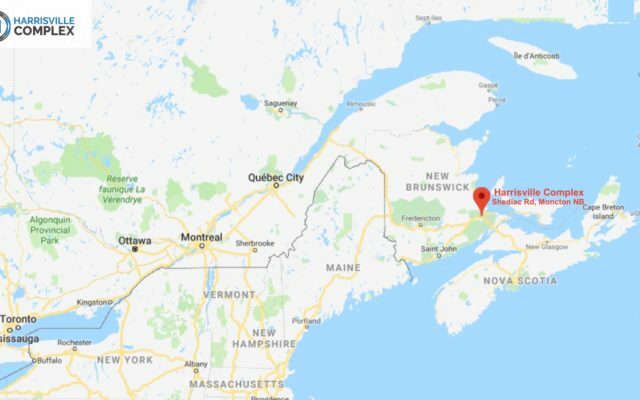 Moncton City statistics show a population of 18,472 for Ward 1, and a population of 25,384 for the adjacent City of Dieppe. 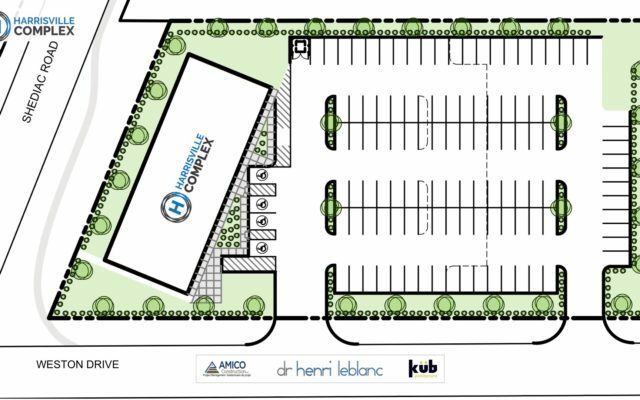 Romeo LeBlanc Greater Moncton International Airport is also situated nearby, and infrastructure improvements to an existing bridge connecting Harrisville Boulevard and Dieppe Boulevard will greatly enhance traffic flow originating from both these high-traffic locations. 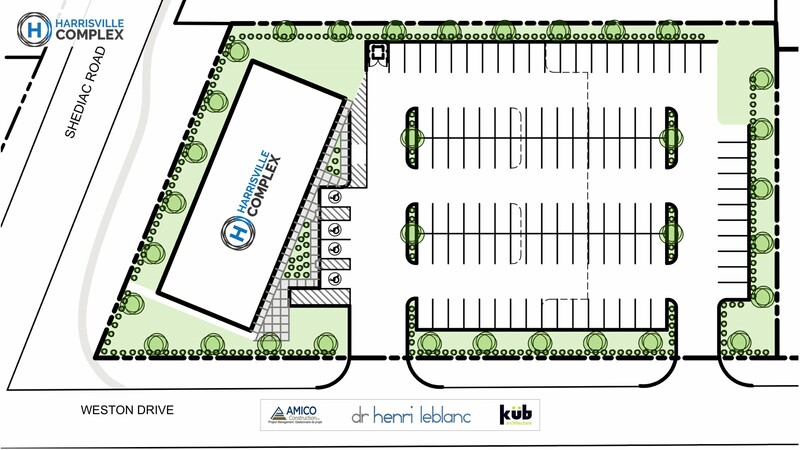 Immediate visibility, high-traffic, ease of access and parking, high population density, the development of residential corridors combined with future expansion and development of the City of Moncton makes this an ideal location for health, medical, professional practices, retail and commercial purposes.